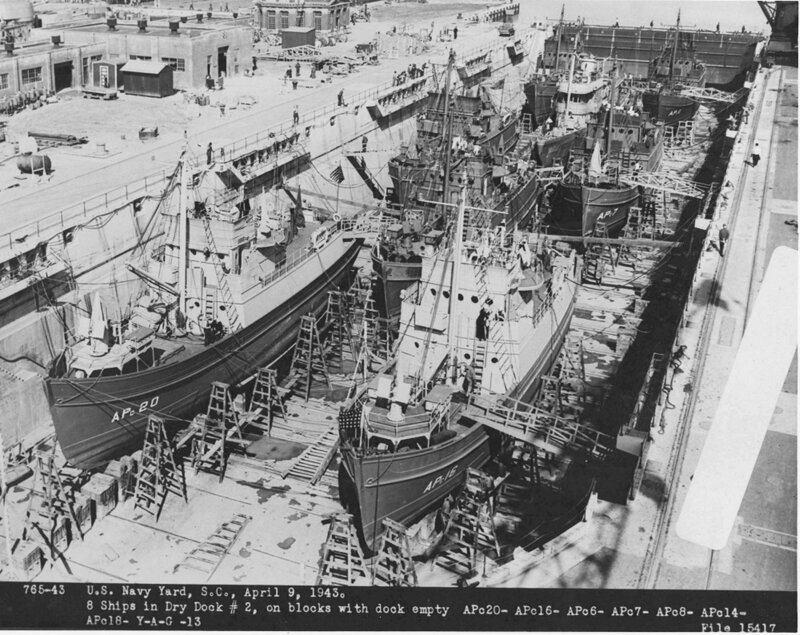 ◎3rd Naval District inshore patrol, Mar-May 1942. ↑John L. Sullivan (YAG-37) underway, date and place unknown. US Navy photo. Image courtesy of NavSource. 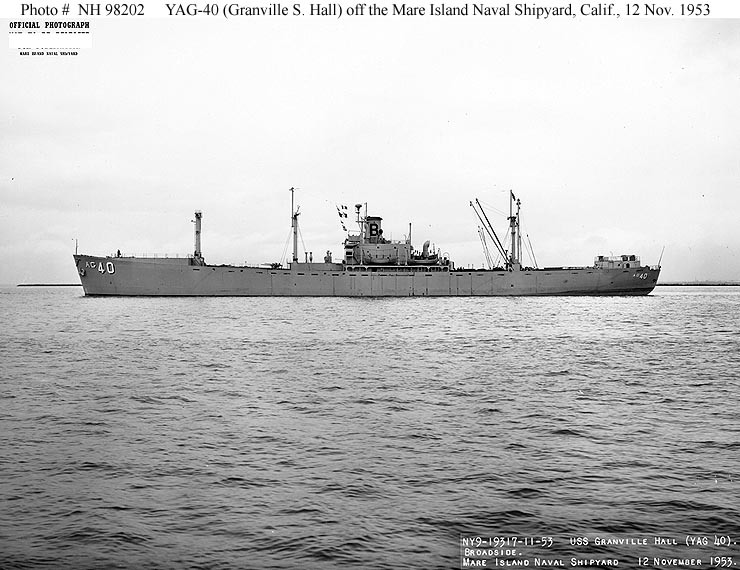 ↑YAG-40 (Formerly the SS Granville S. Hall). 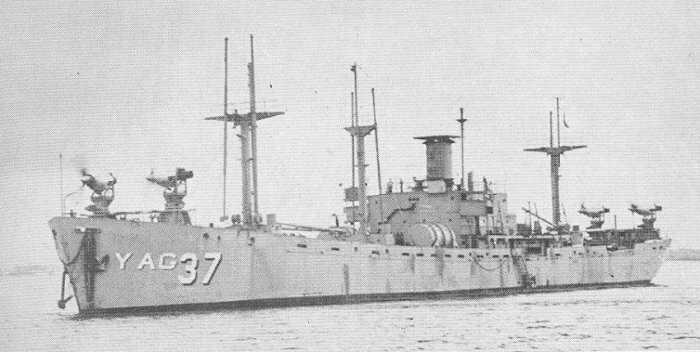 Off the Mare Island Naval Shipyard, California, on 12 November 1953, following conversion for Navy use. Note the large "B" painted on her smokestack. Official U.S. Navy Photograph, from the Collections of the Naval Historical Center.